Natalie Bocking was shocked to discover that the Action slate had listed NDP Concordia as one of its supporters. Bocking, the VP External of NDP Concordia, said that her club was never contacted by Action, a slate running in the Concordia Student Union election. However, just minutes after the election began on March 15, NDP Concordia was one of 28 clubs listed as endorsing the slate on Action’s website. Bocking wasn’t the only student surprised with the news of her club’s endorsement. The slate took the endorsements section of its website down just a few hours after the election began. 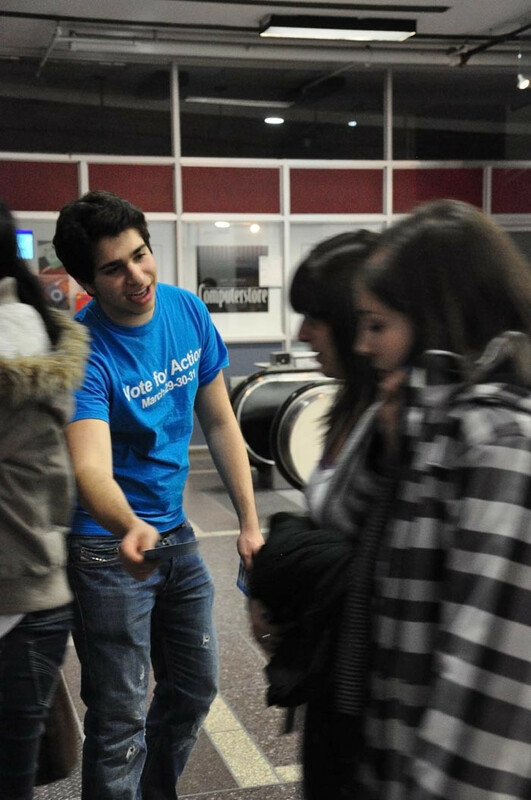 Action presidential candidate Khalil Haddad claimed the endorsements controversy was overblown and completely accidental on the part of his slate’s web designer. NDP Concordia member and current CSU Councillor Ethan Cox isn’t buying Haddad’s claim. Cox posted a comment on the slate’s Facebook wall demanding an explanation for the false endorsement. His post was deleted and he said he was subsequently blocked from Action’s Facebook page. Your Concordia executive candidates Morgan Pudwell and Chad Walcott are both signing officers at the Sustainability Action Fund, which was also listed as endorsing Action. Both denied endorsing their rivals’ candidacy. The endorsements page is also a potential violation of the CSU’s election rules. Because the endorsements were posted just minutes into the election, some students are wondering how the slate would have sought this support without campaigning before the designated March 15 period. “An endorsement is a legal action. It’s not something you can do in just 15 minutes,” said Nick Cuillerier, the Arts and Science Federation of Associations Chief Electoral Officer. Haddad claims there was no intent to mislead students and that his slate anticipated getting these endorsements throughout the campaign. “We’ll be posting signed letters from the clubs’ executives on the website,” he said, adding that many Action candidates are members of the clubs listed on the site. “There’s a big difference between endorsement and representation,” however, said Cuillerier. Your Concordia presidential candidate Lex Gill also weighed in on the matter. “If this was an accident and Haddad didn’t mean to post the endorsements early, then it’s a bit presumptuous to assume your slate will get a club’s support before even speaking to them,” said Gill. No contestation regarding the endorsements has officially been filed with CSU Chief Electoral Officer Oliver Cohen, but the CEO said he would be looking into the matter.